It was 14th September; two weeks after the surrender, and the last French troops were leaving from Alexandria's New Harbor. Harper and Finnigan stood on the quay with many other British soldiers. Two days after Menou's capitulation, Bairds' seven thousand troops from India had come marching in from Rosetta. They had been uniformed splendidly, the red of their jackets still vivid, their leather all shined. Many had the officers had seypoy cooks and servants, and had come with considerable baggage. They were amazed at the scarecrow aspect of Hutchinson's troops, their uniforms in tatters and patches, hanging off of their gaunt frames. But for all that, they were tanned and healthy, and looked like the fighting men they were, and well deserving of the newcomers' respect. The French looked as ragged as the British, and considerably less healthy, but they were cheerful, waving at them, obviously happy to be going back to France. Again, many were drunk. Menou had boarded by night, unobserved, and remained in his cabin. Doubtless he wished it that way. There seemed to Harper something fitting about watching the final departure of their opponents, a capstone on the campaign. And the end of hostilities had brought a modest easing of camp life; fresh hot bread for breakfast instead of biscuits, standing for parade at seven in the morning instead of the uncivilized four o'clock. Officers seized their last chance for some sightseeing. Moore had been admiring Pompey's Pillar. Coote and Ludlow, who had not made the Nile Campaign, now journeyed to Cairo, where they explored the Pyramids and were entertained by the Grand Vizier at an eighty-course banquet. They returned the favor by inviting him to his first-ever-genuine sit-at-the-table-and-use-silverware English dinner. Afterwards, they retired to a summerhouse on the banks of the Nile for a grand display of fireworks. Many of the troops were now being dispersed. Some battalions would go back to England to quell the bread riots. Others would go to the West Indies to try to wrest away Spain's American colonies. Still others would garrison Malta. And six thousand would be staying on in Alexandria as a garrison until the final peace was signed. But Harper had no desire to linger. He was going home. All marines, including him and Finnigan, would be going back to the fleet and to Gibraltar, there to wait for word of the peace agreement that was currently being hammered out in Amiens. He was so glad he had only signed on for the duration of hostilities. When the peace was signed, he would be a civilian once again, a civilian heading home. And not a poor civilian either. 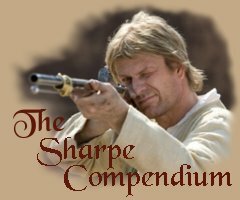 He patted his haversack again, and felt the reassuring outline of the gold armlet from the tomb of Pacrotis that Finnigan had given him when news came that the fighting was over. "This is for you, Patrick. I've been holding it for you." Harper took it in amazement. "Where did you -?" "You don't think I ever trusted that slimy rat Mahmud, did you? When he wasn't looking, I pinched both of them, one for you and one for me." "You've been holding out on me!" said Harper. "Nothing of the sort, boyo. I wanted to make sure you came through this alive first. No sense some Frog lifting this off your carcass, is there?" "But what if you'd died first?" "Ah, you should know by now, you can't kill a Kerry man!" Finnigan made no mention of the ring he had also taken, and which he had used to bribe the hospital orderly to tell him of Yusef Ibrahim. Or that he had attempted to pay Ibrahim with one of the bracelets, intending to give the other to Harper. Apart from its value as an artifact, Harper figured for the gold alone it should bring in a good hundred guineas. That would be enough to build Ma a fine new house, with money left over after that. A new beginning for the family. He spotted a familiar face among the ranks of French and waved. Calvet, accompanied by Lieutenant Terrage, grinned and stepped out of line. Between Harper's bad French and Terrage's translation, they talked. "I am glad to see you made it out of this alive, Irishman." "Same to you, Calvet. And I'm glad to see you're going back to France. Soon, there'll be a peace treaty, and we'll all go home." Calvet nodded. "A treaty yes, but for how long? Bonaparte is a hungry man, and peace is not in his diet. We'll be fighting again soon enough. You English have not seen the last of us, not by a long shot." "Perhaps not, but for today, and at least for a little while, it's peace. And I'll take it gladly." Calvet stuck out his big hand. Harper shook it in his equally large one. The two almost-friends-not-quite-enemies grinned at each other for a moment. "Take care of yourself Irishman. You make a fine enemy." "And yourself, Calvet. With a little work, you might make a decent friend some day." Calvet laughed uproariously. And then he and Terrage rejoined the line and climbed up the gangway to the waiting ship. As he watched them board, Harper reflected on the events since he had said goodbye to his father, three years and seven months ago. The training at Plymouth. Sailing the Mediterranean with the Culloden. The night battle in Abuquir bay, and the assault on the battery. Being taken prisoner, and marching through the desert with the French. Six months in prison in the citadel, and then making their way up the Nile on a boat of dead men. The heartbreaking news from home. The siege at Acre. The months in Cairo. Sulima. Finnigan's joke in the Pyramid. The Sphinx's nose. Training at Marmaris for the invasion, and the landings. The mission with Captain Thompson. The desperate battle outside of Alexandria. And the long darkness when he had feared he would go blind. When it had all begun, he had been a gangling youth of thirteen, six foot one inch and eleven skinny stone, outgrowing all of his many patched cloths. Now he was seventeen, six foot four inches, and seventeen stones of solid muscle. He had left a nervous boy, and come back a strong, confident man. He wondered how long it would take his mother to recognize him. Looking up, he saw a falcon soaring on the hot updrafts, perhaps flying home, like he soon would be doing. He smiled. He reached down and picked up a handful of the dust that blew around the quay. It was part of an eternal, ancient land, a land that had been here thousands of years before him, and would be here thousand of years after he was dust himself. But as much as any man not born here, he had a claim to this ancient land, and he felt a sense of pride. He had fought here from one corner of the country to another, left his blood here, and had mates who had died here. He had been with his first woman here. He certainly had a better claim to it than Bonaparte, who had run with his tail between his legs, leaving his army to rot while he used the full power of his propaganda service to turn Egypt into some sort of victory for him. But Harper would march out with honor, and his head held high. A proud member of the Corps of Marines. He let the yellowish ocher dust slip through his fingers, and blow away in the gentle breeze, knowing full well that for him, it was more, so much more than just dust. Egypt was Napoleon's first campaign failure. Unable to focus between threatening British India or else overthrowing the Ottoman Empire, he ended up doing neither. In terms of his career, it did him little harm, for soon after his return to France he overthrew the Directory, assumed full dictatorial powers for life, and in 1800, on the same day as General Kleber's assassination, he decisively defeated the Austrians at Marengo, which led to the collapse of the Second Coalition. He seemed to regard the whole Egyptian interlude as an embarrassment, and he never allowed it to be mentioned in his presence. But he learned the lessons of his failures, and did not repeat them until his next campaign failure in Russia in 1812, and then on a far more devastating scale. The campaign confirmed British naval superiority in the Mediterranean, and made Nelson the first among the heroes of the day. He is of course remembered by thousands of commuters daily as he gazes down from the top of Trafalgar Square, while Sir Sidney Smith points to the horizon outside of the National Maritime Museum in Greenwich. Sir Ralph Abercromby rests in the crypt of the Fortress of St. Elmo's in Malta, as he requested. He is commemorated in England by an inscription on Cleopatra's Needle and by a monument in the south transept of Saint Paul's. In the same cathedral, General John Moore's monument stands, described by his biographer as "sentimental and unrealistic." But more than simply marking out individual heroes, the Egyptian campaign had instilled a new and desperately needed confidence in the British army, after so many defeats. At last, the British soldier could look the British seaman in the eye without shame. The battle of Alexandria, in particular, showed decisively that the French were not invincible. It demonstrated the superiority of the line over the column, of steadiness and discipline over boldness and daring, and thus helped give rise to the strategic and tactical frame of mind that made Wellington's victories in the Peninsula possible. In Egypt itself, the power of the Mamaluks was forever broken. A decade later, Mehemet Ali (who Harper pulled out of the sea after the second battle of Abuquir) massacred the remainder of them and became the first Khedive of Egypt, a line unbroken until the twentieth century. More than that, Egypt had been plunged into the center stage as a location of great strategic importance, the gateway between Europe, Africa, and Asia. In the decades to come, there was an inevitable increase of European involvement in the area, with its consequent modernizing effect on government and social institutions. The Suez Canal, which Napoleon had talked and dreamed of opening up, was in fact dug by a Frenchman, Ferdinand de Lesseps, some seventy years later. But perhaps the most tangible result of the French incursion into Egypt is to be found in the British Museum, the Louvre, and the other great museums of the world. For a new study, Egyptology, had been born, fueled by the twenty-four volumes of the scholars' Description de l'Egypte, complete with Denon's magnificent drawings. The discovery of the Rosetta Stone (which proved to be useful for more than frying bacon on) allowed scholars to decipher the hieroglyphic system, and over the years, knowledge of the ancient civilization would expand and grow. It still exerts as great a fascination on men's hearts today. 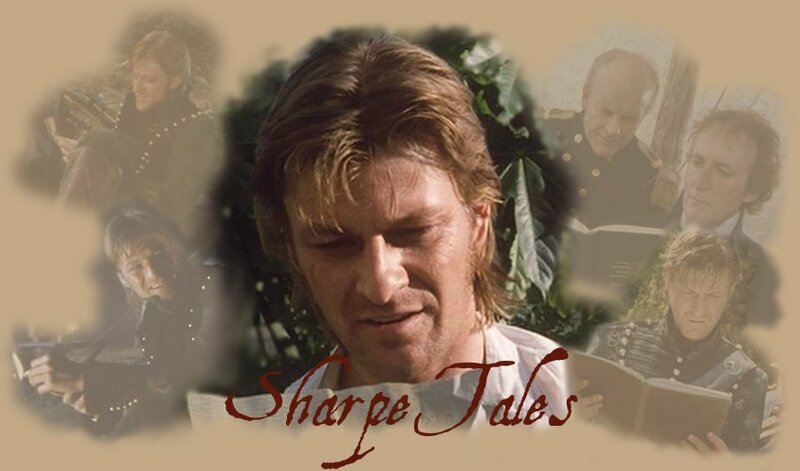 Egypt can easily be reconciled with Harper's career in the rest of the Sharpe novels where he appears. He would make an occasional comment on his early beginning in the marines, and the impact the Irish Rebellion had on his family. Because of his service with the 26th at Alexandria, he would wear their brass Sphinx badge on the back of his shako, a practice that would excite some comment among his mates in the 95th Rifles. He would have cheered the 26th on when he saw them under assault by French cavalry at Quarte-Bras in Waterloo. Lastly, he and General Calvet would recognize each other in Siege and Revenge and exchange some wary greetings. As to distinguishing fact from fiction, the Culloden did run aground during the Battle of the Nile, but Captain Troubridge did not send out his marines to silence the battery on Abuquir Island (which was quite ineffective in any case). However, it is what I would have done if I found myself in the supremely frustrating situation of being unable to participate in the battle happening only a few hundred yards away. Needless to say, no marines were taken prisoner or marched to Cairo. There was no uprising in Donegal to speak of, though if there had been, joining up with the French at Sligo probably would have been the best move available to them. The French were turned back at Acre, but not by a berserk Irishman. They simply could not penetrate the inner wall that Colonel Phelipeaux had constructed behind the breach. There were no marines in Cairo during the withdrawal negotiations with Kleber; all was handled by way of letter. (And yes, I know that the Sphinx's nose was gone before the French arrived, but I couldn't resist. Please allow the author the leeway to tell a good story, at the expense of a minor inaccuracy). Nor were the French deceived into attacking the British right flank at Alexandria; rather it had been General Menou's strategy all along. Otherwise, things happened in the campaign pretty much as they have been presented. Nelson, Troubridge, Murat, Sidney Smith, Djezzar Pasha, Kleber, Abercromby, Menou, Moore, and Hutchinson were real characters and would have behaved more or less as depicted. Finnigan, Lieutenant Bromley, Ardath Bey, Captain Thompson, and Yusef Ibrahim are not. You would have to look long and hard around Egypt and Palestine to find any evidence that Napoleon (or General Bonaparte, as he was then known) had ever been there. In a land that measures time in millennia, the three years of the French are hardly a blink of the Sphinx's eye. There are no monuments around the battlefields of the Pyramids, Heliopolis, Alexandria, Mount Tabor, or any of the other sites, no museums with French exhibits in Cairo or Alexandria. For the Egyptian people, the French were simply the latest in a long line of invaders, taking their place with the Assyrians, Babylonians, Persians, Greeks, Romans, Crusaders, Turks, and Mamaluks that they had endured under and survived over the centuries. The Pyramids look down on the passing affairs of men as they have done for some three thousand five hundred years, unchanged, and unimpressed. Acre, or as it is known today, Akko, is a sleepy Israeli resort town, now completely eclipsed by its neighbor to the south, Haifa. There is more evidence for the Crusaders having been there than there is for the French. If you dug in the sand long enough, you might find some buttons or old belt buckles. I wish you luck if you feel inclined to try. The one exception is the Bay of Abuquir. On the island where the French battery was positioned, there is a small white cross commemorating Nelson's dead who are buried there. It is now known as Nelson's Island. Recent underwater archaeological work in the Bay itself has brought to light some portions of L'Orient and a few of the treasures that Bonaparte stole from the Knights of Malta. So Patrick Harper is off to Gibraltar to await the finalization of the Treaty of Amiens in March of 1802. Then, it will be an honorable discharge for him and home to Donegal, to help his family recover from the disastrous rebellion. But Harper has had a taste of the soldier's life, and he can no longer be satisfied with just staying at home. So in time, he will renew his wedding vows with Brown Bess and be off for more adventures, including a meeting with a certain scar-faced Lieutenant of the 95th Rifles, with whom he will do a bit of marching and fighting.